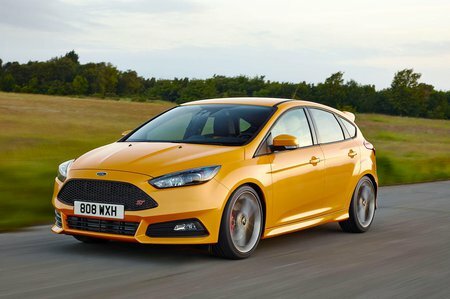 Ford Focus ST Performance, Engine, Ride, Handling | What Car? 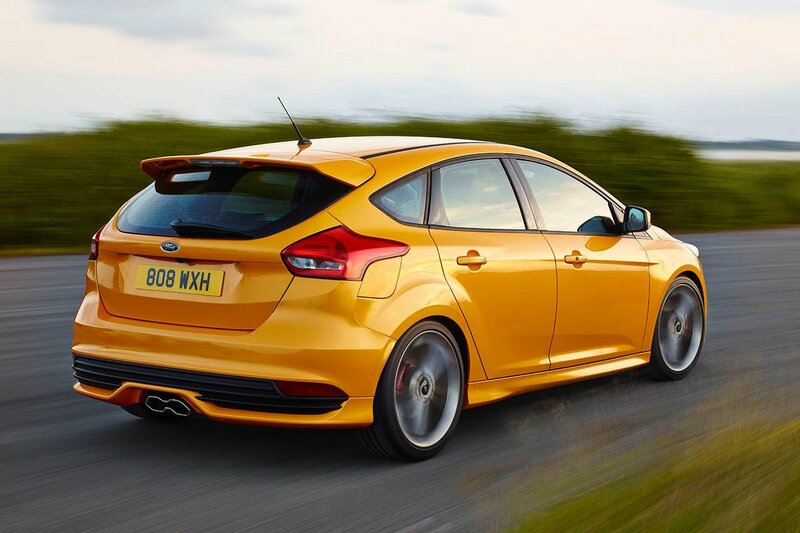 The Focus ST is a really well sorted machine, no matter whether you go for the five-door or the estate. It turns in to corners with real zeal, keeps its body in check and delivers enormous mid-corner grip. However, the chassis isn’t flawless. The steering is sometimes a little slow to weight up and is overly keen to self-centre. The steering wheel also gets tugged about momentarily when the wheels hit an awkward camber or pothole. Not only that, but there’s a shortage of traction, with the front wheels spinning easily even in dry conditions if you put your foot down, causing the traction control to be activated very early. This, too, can make the steering wheel writhe around as the wheels struggle to transfer the power to the road. Still, while it sometimes feels like you’re wrestling the Focus down the road, that in itself can be quite entertaining, and it help make the Focus a seriously fun sports hatch. The engines are great, too. If you want the proper full-on hot hatch feel, go for the petrol, which isn’t only faster outright (the diesel will do 0-62mph in 8.1sec next to the petrol’s 6.5sec) but also pulls across a broader rev range than the diesel. It also feels more eager to be revved and worked hard. The diesel is seriously potent in its mid-range, and pulls with impressive oomph from as little as 1500rpm (albeit with a noticeable surge as the turbo kicks in), but it’s done by 4000rpm. It’s perfect for those who want a really fun hatch but still value efficiency over outright performance. Both engines are linked to a precise six-speed gearshift that’s no chore to use. This is one of the more comfortable hot hatches. The standard suspension softens the worst bumps and stops short of feeling harsh over very scruffy roads. Some might find the way the Focus can bob up and down over faster roads a little tiresome, but nonetheless it’s comfortable and controlled, especially in the context of the performance it offers. Refinement is better in the petrol, too; it’s a quiet engine on a steady throttle, growing to an encouraging rorty note when you want it to. The diesel is a bit clattery, but is also more than quiet enough when you’re not accelerating. In both, wind and road noise are noticeable but kept in the background.